Yelagiri hills, is an idyllic place for a short holiday. Green hills and picture post-card scenery greets you here. 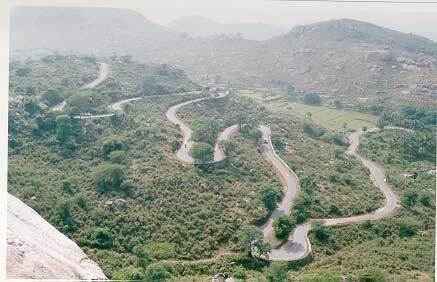 It is called the princess of hill stations and is the most pristine and unpolluted among the hill stations in Tamil Nadu. Yelagiri Hills is a backward area with few glaring developments like cottages and farm houses, yet a place that has maintained its 'remote' label. 920 m above sea level, amidst our mountains, these picturesque environs are a part of javvad hills of the Eastern Ghats. Several tribes inhabit the 14 small villages in the region and engage in agriculture, horticulture and forestry. Their unique lifestyle, customs and homes, as well as an exquisitely carved church, a quaint temple and a park for the tourists add to the attractions of the place. yelagiri hill is also perfect or a trekking holiday, July and August witness the annual murugan festival at the temple. Fruit, Herbal farm and Shrubs used in the production of ayurvedic medicines are available. Alternatively, if you Sic vacationing with kids, you can head to the childrens park or the mini Zoo. All in all, there is something for every tourist. Try and be there for the weekly holiday where the products of the hills are on display. Vacation at yelagiri this summer is vacation with a difference.